In case you are experiencing some problems with your hardwood and other kinds of floors, you can count on our professionals for their repairing. We have the hardest working specialists in London and they will be happy to give you a hand with the repairing of this part of your home. After years of usage, it is possible to notice that your floors are damaged. When a problem appears, all you have to do is get in touch with the skilful professionals from our company. They will fix the problem as fast as possible and will give you some tips, which will prevent the appearing of similar problems in the future. 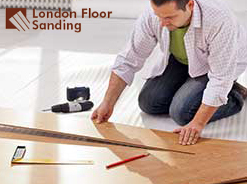 Contact us and book one of our inexpensive floor sanding services in London. We have the best professional floor repairing procedures and your can take advantage of them any time you like. Our specialists can fix all kinds of problems, in exchange for a perfectly reasonable price. If you want to have floors which look good and which are also in good condition, we suggest that you give us a call right now. If you want to be able to enjoy your hardwood and other floors for many more years, you can leave the repairing and the maintenance to our specialists. They know how to fix every problem, so that they can prolong the life of your old floors. They have the best equipment that the market offers and they won’t hesitate to use it for the renovation of your floors. You can take advantage of our excellent procedures whenever you decide. We will be able to help you also in case of an emergency. You just have to give us a call in our office and we will send our experts right away. 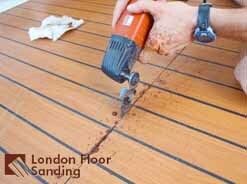 If you’d like, you can come and make a reservation for a floor repair service in London yourself. This way you can meet with our professionals in person first. Copyright © 2019 London Floor Sanding Services. All Rights Reserved.